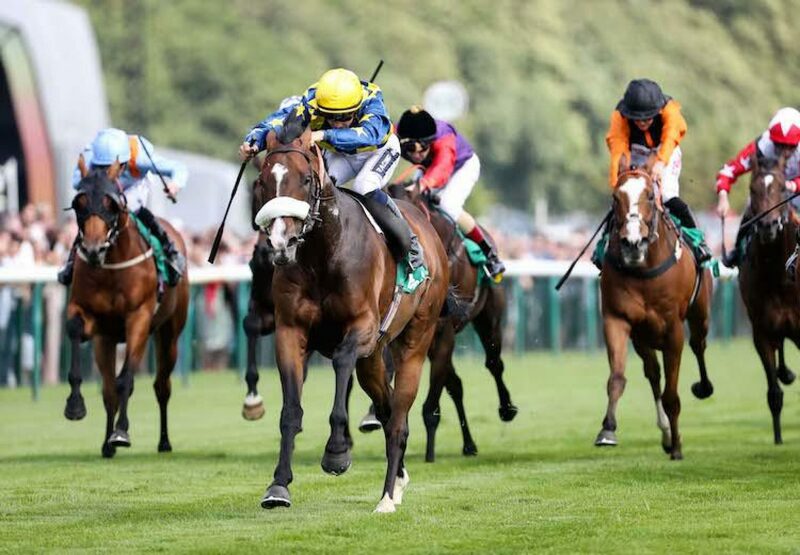 There was no more impressive winner on Saturday than Dylan Thomas’s son Dylan Mouth (6h Dylan Thomas-Cottonmouth, by Noverre) who ran away with the ultra-competitive Old Newton Cup at Haydock. The superb six-year-old, a multiple Group 1 winner when trained in Italy, overcame top weight of 9st 10lb to win the prestigious 12-furlong contest. "He [Dylan Mouth] is a proper horse. He is rated 104 for a reason, but off top weight it was always a bit of a worry," said winning rider Harry Bentley. “But he’s a big, strong horse so the weight wasn’t a problem. "I was a bit further back than I wanted to be, but he's done it well. They went a decent gallop up front which suited us and I got a good run through. It all went well."